Are you planning a vacation and want to hire a tour bus rental? No matter where you are going, a tour bus will provide you with excellent ground transportation in addition to some important information about the area you are touring. Tour buses are great for family vacations or business trips. So get your group together today and start planning your next bus tour! 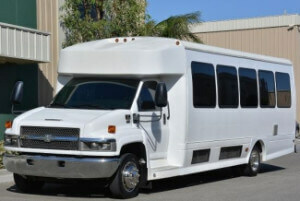 Some of the most popular areas to rent a tour bus include most major cities. We work with some of the best tour bus companies under the sun. But, with so many attractions and things to do, big cities can almost be too much to soak in. That's why touring less populated areas is a key recommendation. More often than not, tour buses in larger cities are more expensive than hiring your own guide and renting a charter bus for a few hours. So if you're feeling frugal, trying booking a bus rental from Price4Limo and hire a freelance tour guide for the city of your choice. Most tour bus interiors are pretty standard. You will more than likely find comfortable forward facing seats and an audio system. Some tour buses have televisions and restrooms, but most do not. If you're looking for a more luxury tour bus, as mentioned above, your best bet is to rent a charter bus and hire a freelance tour guide. 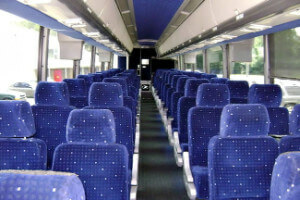 Charter bus tours will have cozy leather seats, TVs, and a restroom. 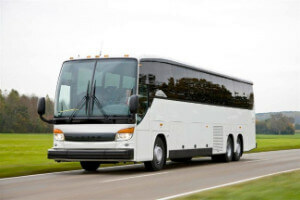 Need pricing information for a tour bus rental? Visit Price4Limo.com and complete a search. Here you will find the best of the best bus operators all competiting for your business. It's now easy to compare tour bus rental prices and amenities. Call now with any questions, or make a reservation online today!